Made by the same UK manufacturer as our hose clips, these mild and stainless steel lined ‘P’ clips are superb. All clips have a pressed-in strengthening rib which keeps the clip flush with the surface it’s bolted to. The steel range is heavily Zinc plated and passivated and the stainless range is, again, marine quality 18/8 BS304 stainless steel. The rubber liner is UV stable and resistant to oil & fuel. 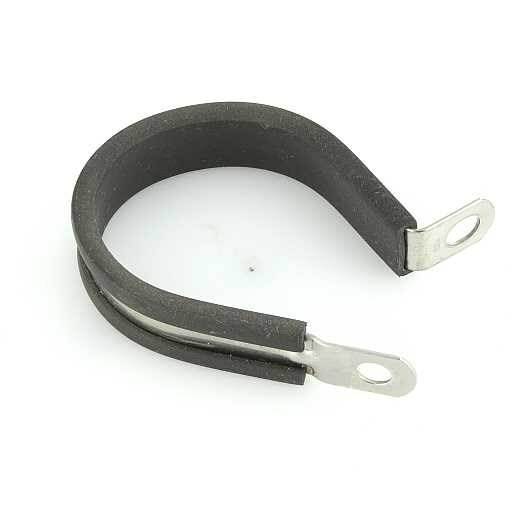 The smallest size is perfect for copper brake & clutch lines. Sold as single clip.